Aventis Systems offers VMware Support and Subscription (SnS) services for vSphere Essentials, vSphere Essentials Plus, vSphere Standard, vCenter Server Foundation, vCenter Server Standard, vSOM Standard, and vSOM Acceleration Kit. VMware requires that all licenses be covered by a minimum of 1 year of support. VMware’s support programs include different levels of support based on the product selection and the breadth of support needed. These options include Subscription or Per Incident Support for vSphere Essentials, and Basic and Production Support and Subscription technical support for all other licenses. All Subscription Support includes software updates and new releases of the product specified during the term time frame, along with online access to documentation, Knowledge Base articles, discussion forums, and other technical resources. Please browse our VMware SnS options below! Aventis Systems partners with VMware and Veeam to provide unique, end-to-end virtualization solutions for your business. If you have questions about hardware, software or support for your virtualized environment, we are happy to help! Please use our Live Chat Live Chat or call us at 1.855.AVENTIS (283.6847) during regular business hours, or email us at Sales@AventisSystems.com. Want help finding your perfect VMware License? 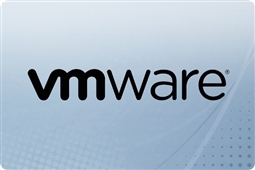 Check out ourVMware vSphere: Licensing, Pricing and Packaging blog today!